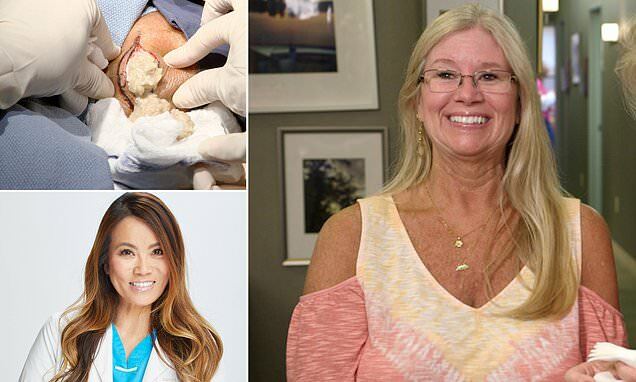 Dr Pimple Popper comes face to face with a 15-year-old cyst that smells like a 'big rotten goose egg' in another stomach-turning episode of her hit TLC show. Dr Sandra Lee is visited by sisters Janice and Cheri, both from the US, who have growths on their arm and shoulder, respectively. Dr Lee explains that the potent stench is from the old skin cells which have been stuck under Cheri's skin for more than a decade. She doesn't have to wait long to find out as the lumpy yellow contents quickly floods out.